Nvidia’s Cuda graphics processors have been used to speed up a Java-based sorting program by up to 48 times. In the past Nvidia’s Cuda GPU, which powers high-end graphics cards, has been used as the processing power behind low-cost supercomputing. Cambridge University is using the Nvidia GPUs as the basis for a supercomputer to support molecular research. 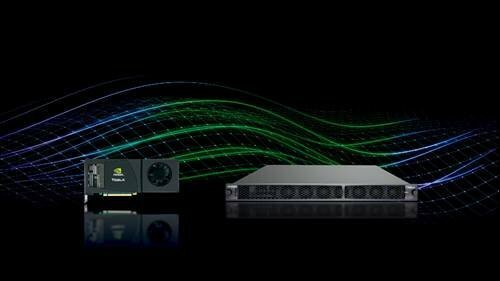 Nvidia has developed a Cuda programming library to enable developers to harness the power of the GPU to boost the execution speed of certain types of intensely computational applications. In a demonstration this week, IBM showed how Java applications could be accelerated using the Cuda programming library. IBM’s chief technology officer of Java, John Duimovich, demonstrated the Nvidia-powered Java accelerators during his keynote at the JavaOne conference in San Francisco. 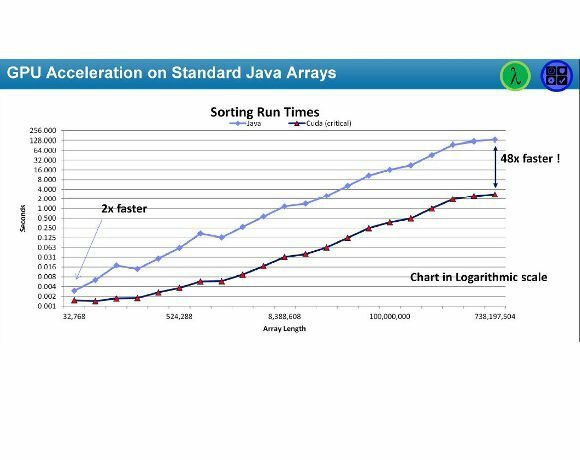 Duimovich showed an example of using GPU acceleration to speed up a Java-based sorting program developed using the Nvidia Cuda libraries. According to Duimovich, IBM will develop server-based GPU accelerators and research how to deploy acceleration for ordinary Java workloads using existing programming interfaces instead of the specialised Nvidia Cuda libraries. If IBM is able to develop Java libraries that are able to harness the power of the Nvidia Cuda GPU, Java developers could potentially dramatically improve the performance of their applications.